One of the biggest misconceptions about garages is the fact that the place is merely a cover for your vehicle. In fact, it plays a pivotal role in your vehicle’s upkeep, as well as in the maintenance of your entire household. If managed properly, it could become one of if not the most functional area of your home. Still, in order for it to get there, it needs to be properly furnished, equipped and prepared. With that in mind and without further ado, here are the top five necessities for every garage. There are a lot of people who use their garage as a storage room, as well as those who use it as an alternative, multipurpose workshop. Either way, there are so many things in your garage that you can trip over or knock over, thus causing both material damage and a safety hazard. Even if everything is in its place, what good is this if you can’t see where each item is placed. Also, regardless of the function of your garage, the lighting will help you get more efficient at what you’re doing. This means that other than just getting general light, you also need to have a task light on your workbench, as well as a flashlight and similar items elsewhere around the room. Needless to say, your safest choice to go with LED, not just because they spend less power but also because these bulbs last substantially longer. 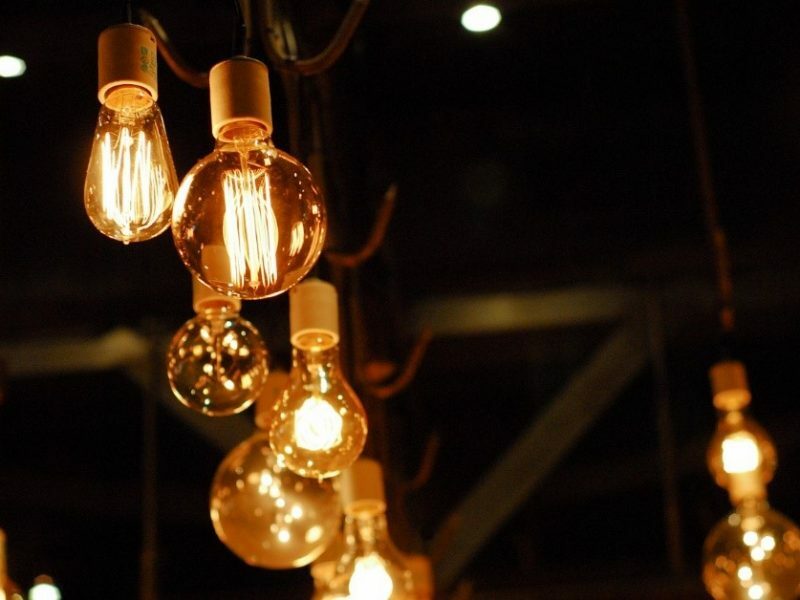 Namely, an incandescent light lasts for about 1,000 to 2,000 work hours, while an LED one can work for as much as 25,000 to 50,000 hours. This is exactly what you want from your garage light – to install it and be able to completely forget about it. The next thing you need to keep in mind is the fact that, if you have the room for it, you definitely need a workbench. Regardless of the work you decide to do, having a workbench will enable you to be more productive, save more time, improve the safety of your projects and, overall, provide a more quality overall experience. Now, you can have one custom-made for your garage, which is a great idea, seeing as how it will be adjusted to the amount of free space and the layout of the place. Still, this is probably the most expensive option. You could try to buy one online or make one of your own. This latter part is the most frugal one and it gives you some options for customizability, yet, it also depends on your carpentry abilities, which may be questionable at very least. On the other hand, the majority of people strongly advocate the idea that you should buy and not build your workbench. The next thing you need to consider is getting a reliable toolbox with all the relevant tools within. 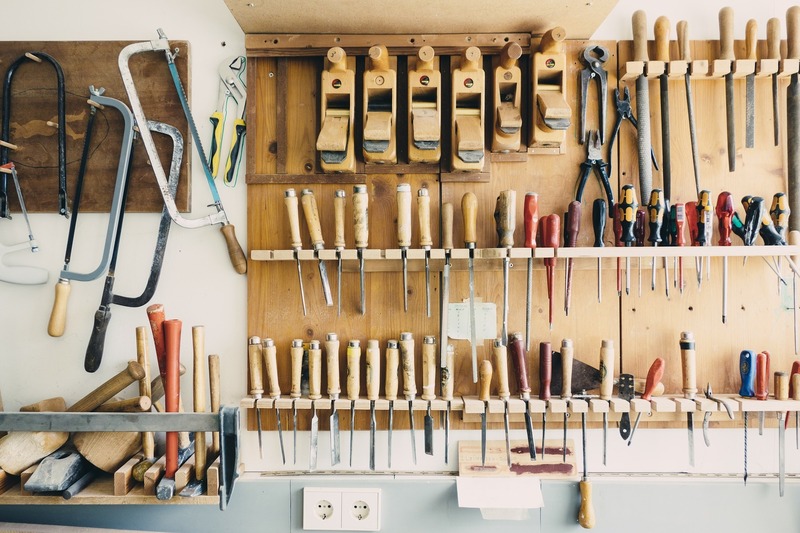 Namely, the tools in your possession will be in a direct correlation with your garage’s functionality, however, the container for these tools also matters quite a bit. First of all, it affects your ability to find the tool you need when you need it. Second, it determines your ability to transport the entirety of your toolbox around the garage at your own behest. Needless to say, this is a lot easier if you have a tool box trolley. Finally, it determines the state of your tools and helps you with their maintenance and upkeep. All in all, it’s an essential item that each garage needs to have. Also, there are several various forms of these trolleys, ranging from simple trade carts and maintenance cabinets, all the way to more complex ladder cart cabinets. Now, we come to the issue of tools and there is a plethora of items that can be regarded as bare necessities for your garage. First of all, there’s the list of essential hand tools that every garage needs to have. Here, we’re talking about an inspection lamp (something that could even fall under the lighting category), torque wrench, floor jack, socket and driver set and much more. As for the power tools, going cordless is always a smart idea, yet, seeing as how the need for these items is situational, there are no universally applicable suggestions. 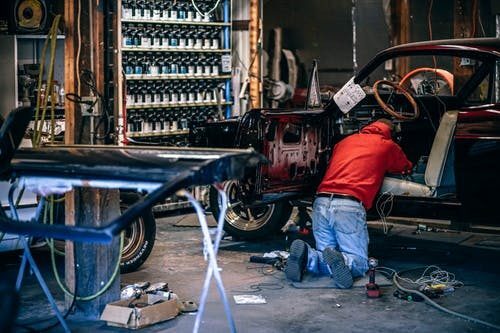 The last thing you need to understand is the fact that your garage floor sees a lot of traffic, spillage, leaks and damaging materials, which is why you need to consider all the options available. First, there’s the issue of garage floor coatings. Then, there are garage floor coverings (which are quite useful although they are less popular). 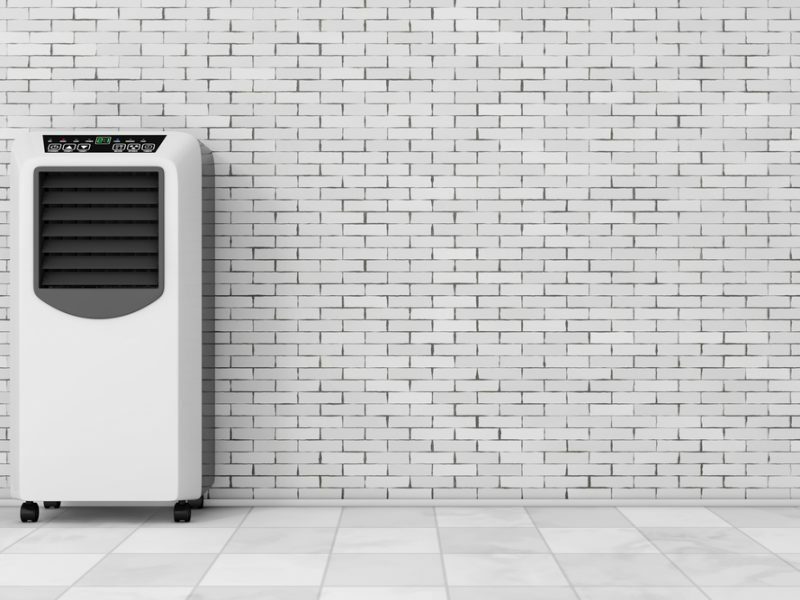 Also, seeing as how the most popular choice for garage floor are tiles and concrete (both of which get damaged in the process), you need to figure out how to fix them effortlessly and efficiently. Lastly, a proper garage floor insulation is yet another great idea. Finally, the way in which you use your garage should mandate the way in which you furnish it, it is really as simple. Nonetheless, there are some problems, functions and outcomes that you need to start preparing long before you need them. Having a garage that’s worthy of a decent household doesn’t really take that much effort or investment, yet, it could make your life substantially easier. By handling these five issues properly and settling these five necessities, you’ll make all the difference there is.